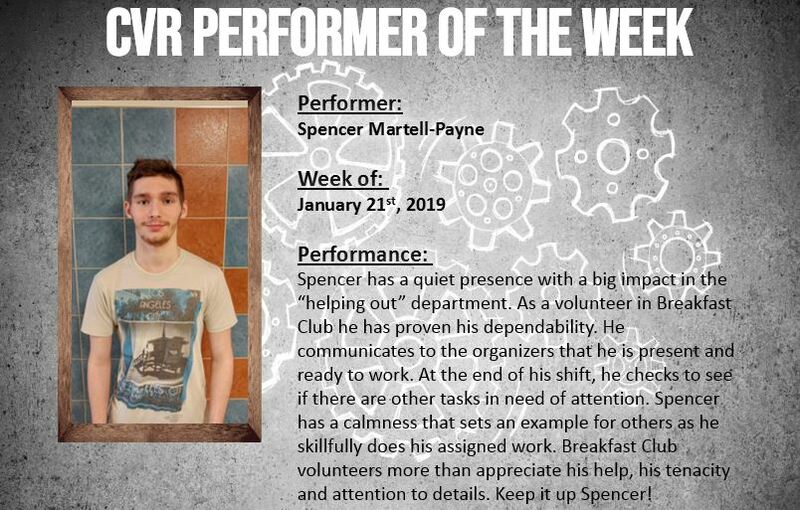 What is Performer of the Week? 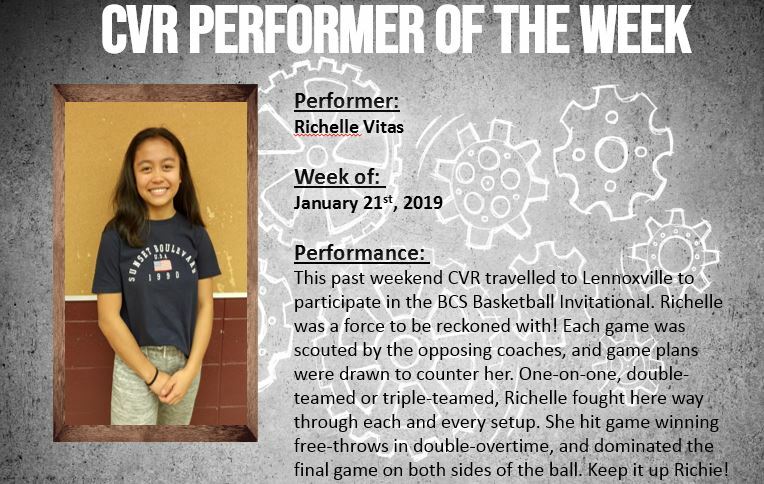 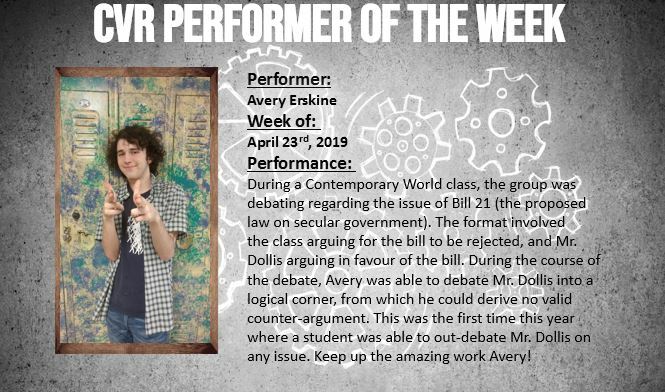 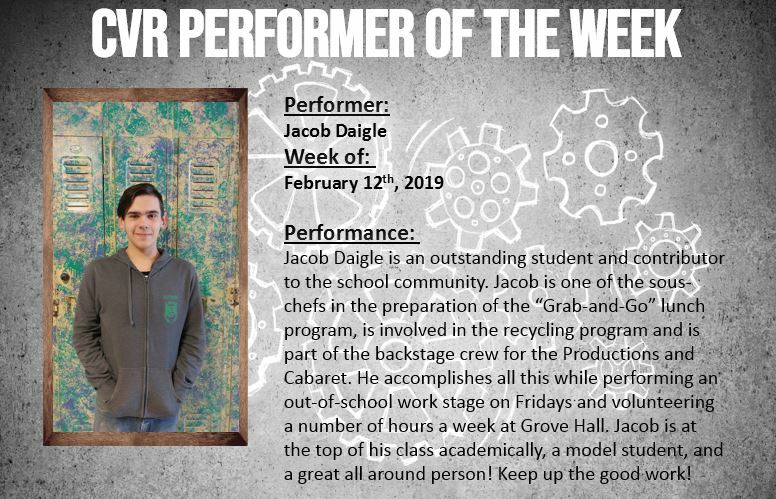 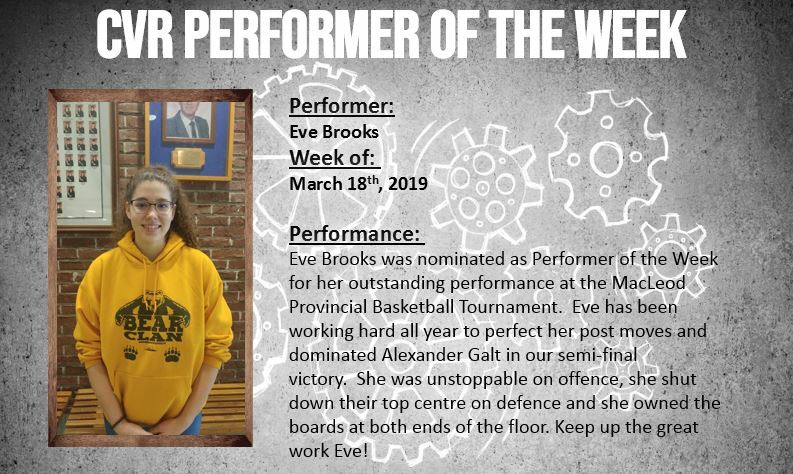 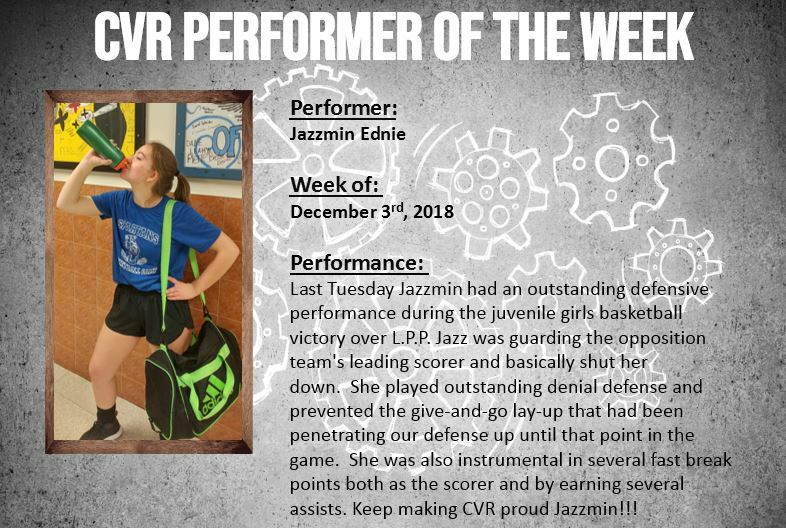 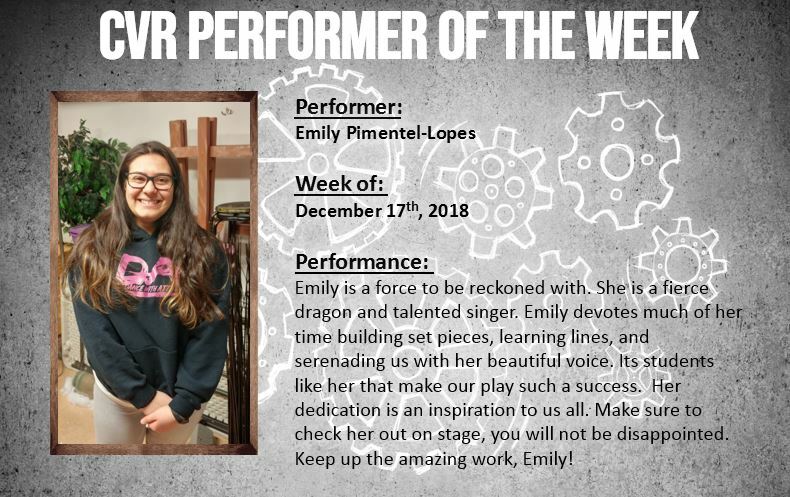 "Performer of the Week" was created to celebrate the talents of CVR students on a weekly basis. 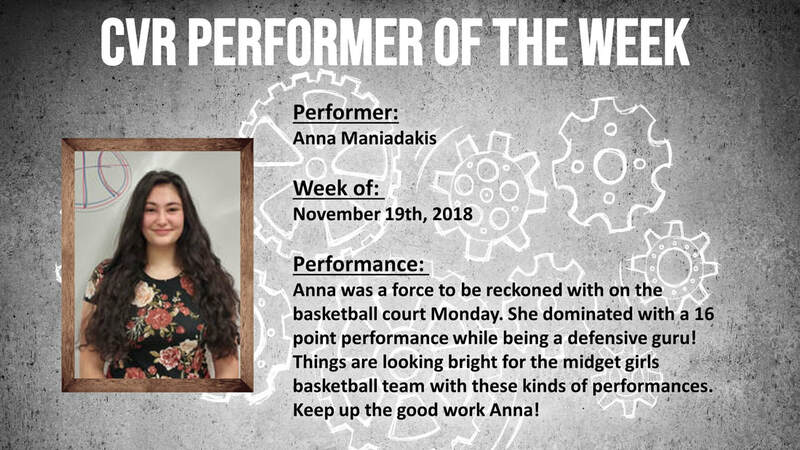 We all have the privilege of watching students succeed in various ways every day and this is one way that we can highlight such performances! 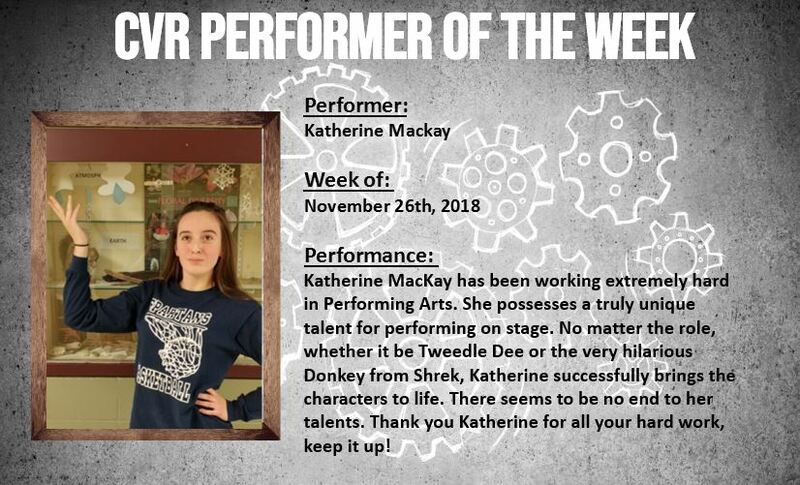 The weekly recipient will have their picture, with performance details, posted on the school's website and displayed on the TV in the lobby. 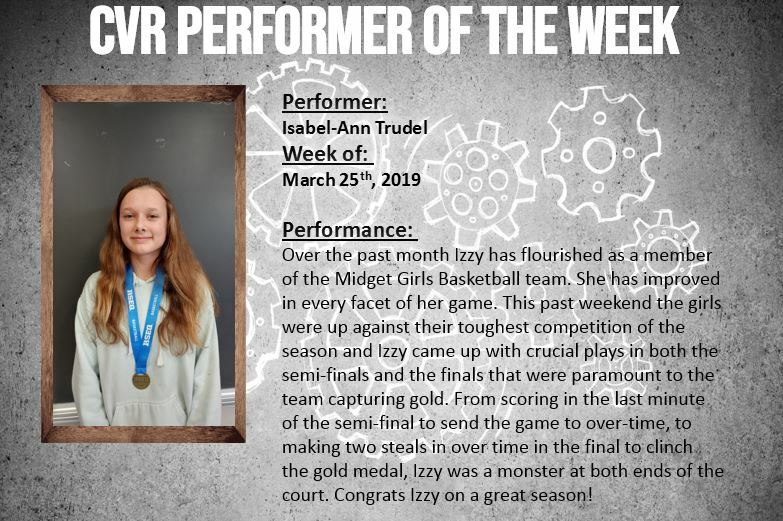 For details or to nominate, send an email to teacher James Kennedy-Zimmerer at jzimmerer@nfsb.qc.ca. 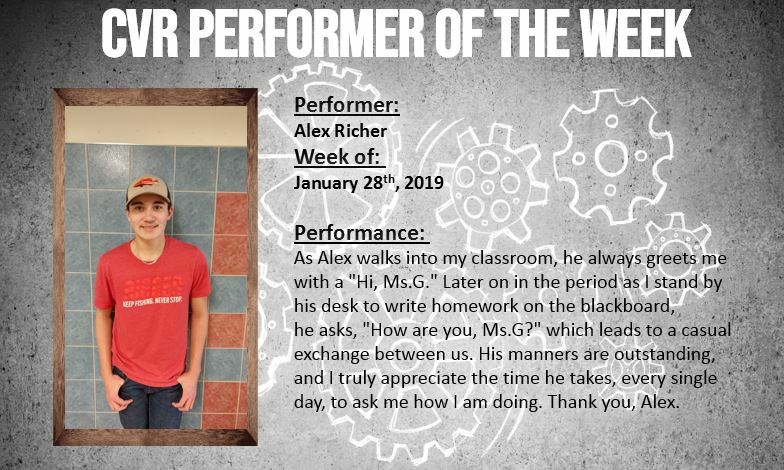 Please include the subject line "Performer of the Week", the student(s) name(s) as well as a BRIEF description of their performance.